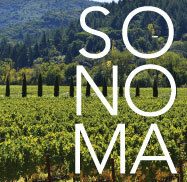 Sonoma is a thriving arts, culture, and culinary scene. Come for the conference and stay for a vacation...and bring the entire family! This conference will focus on cutting edge changes in technology, treatment options, and the very care mechanisms that underlie current neurological, neurosurgical, and related care. Topics related to technologic shifts will include going beyond metagenomics in autoimmune and infectious encephalitis, using novel anti-sense oligonucleotides to treat Huntingtonýs disease, applying new widely available exon and genomic sequencing in diagnosis of hereditary disorders, and bringing radiosurgery to the wider world. Diagnostic and treatment options to be discussed are new combined methods of neurointerventional and neurosurgical interventions in hemorrhagic stroke, use and utility of continuous EEG in the neurological ICU, cancer treatment drug options, and genderýs effects on traumatic brain injury. New structures and systems of care to be discussed are the rise of neurohospitalists, safety initiatives in the operating room, and preventive stroke care across populations. We will boast an unprecedented diversity of speakers, institutions, and backgrounds. CANCELLATION POLICY: If you have preregistered but must cancel, refunds may be issued with 72 hours advance notice, minus a $25 handling fee. Special conference room rates are available at the Lodge at Sonoma for $279 per night. DEADLINE FOR HOTEL CONFERENCE RATE IS FEBRUARY 13, 2019. This San Francisco Neurological Society is accredited by the Institute for Medical Quality/California Medical Association (IMQ/CMA) to provide continuing medical education for physicians. The San Francisco Neurological Society takes responsibility for the content, quality and scientific integrity of this CME activity. The San Francisco Neurological Society designates this educational activity for an estimated 11.15 AMA PRA Category 1 Credit(s) TM . This credit may also be applied to the CMA Certification in Continuing Medical Education. Nurses: For the purpose of recertification, the American Nurses Credentialing Center accepts AMA PRA Category 1 Credit(s) TM issued by organizations accredited by the ACCME. Neurologists, neurosurgeons, neuroradiologists, neuropsychologists, residents, nurses, and other physicians interested in research and clinical advances in the neurosciences.